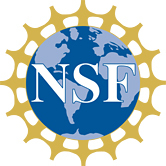 NSF HBCU-UP Programs Accepting Proposals Soon! The next round of proposal submissions to NSF’s Historically Black Colleges and Universities Undergraduate Program (HBCU-UP) will begin soon. Here is information about the different tracks’ descriptions, deadlines and submission limits. Except for EiR, all of the program tracks have limited submissions and fall under Spelman’s limited submission policy. Interested faculty will need to provide project title, CV, and letter of intent (no more than 2500 characters, including spaces) to Margaret Farrow, Pre-Award Grant Specialist, one month before the letter of intent is due to NSF. Therefore, the internal deadline is 6/24/2018 for RIA and 8/4/2018 TIP, BRP, and IMP. If you have any questions or intend to submit to an HBCU-UP program track, please email Margaret Farrow at mfarrow@spelman.edu so that OSP will be aware of your plans. 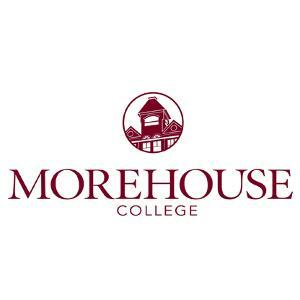 Incorporating data science at Spelman and Morehouse Colleges – Deadline Approaching!! The Data Science eXtension (DSX) program is an opportunity for faculty to learn, design and deliver data science curriculum in at least one of their courses. The intent is to enhance, not replace, existing lectures and/or labs with data science. Through a year-long engagement, participating faculty will learn more about the data science field, design domain-specific data science curriculum and share pedagogical strategies. The 10-day summer workshop consists of a set of interactive guided work sessions. The 7 monthly sessions are designed to assist participants in their curriculum development. Faculty participants will receive a stipend for their participation and curriculum delivery. Learn more at project website. The DSX Faculty Retreat will be held June 11-22, 2018 at Spelman College. Monthly seminars will occur throughout the 2018-19 academic year. Feel free to review our eligibility criteria and tentative summer retreat schedule. Please consider applying to be part of this cohort. Please contact brandeis.marshall@spelman.edu or chuang.peng@morehouse.edu with any questions. The U.S. Department of Homeland Security (DHS) is now accepting applications for its Summer Research Team Program (SRT). Faculty from Minority Serving Institutions are encouraged to submit applications for their faculty-led student research teams to spend 10-weeks conducting research at university-based DHS Centers of Excellence (DHS Centers). Faculty will earn $1,200 a week; undergraduate students $600 a week. Eligible areas of research include engineering, computer science, mathematics, physics, chemistry, biological/life sciences, environmental science, social science, and more. The program website will provide more information on DHS Areas of Research. U.S. citizenship is required. The deadline to apply is December 29, 2017, 11:59 EST. Applications and supporting materials can be submitted here. Detailed information about the SRT can be found here.